Constantin Nickonov begins his morning bike ride without much pedaling. He adjusts the B-cycle seat and places his membership card, the 43rd issued when Denver B-cycle opened in 2010, onto the bike dock. Nickonov leaves the station at 17th and Tejon and winds around 16th, zooming down one of Denver’s steepest streets. He stops at 18th and Curtis to work out and then heads to 19th and Wynkoop for work. He rides home for lunch every day. These trips are daily routines for Nickonov. But the results of this routine are staggering. 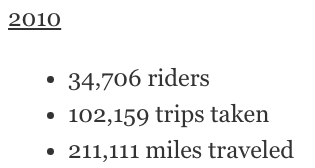 Since the beginning of 2015, Nickonov has logged more than 900 trips and nearly 3,000 miles on B-cycle — the distance between Los Angeles and New York. B-cycle is also helping subscribers get around town without driving. 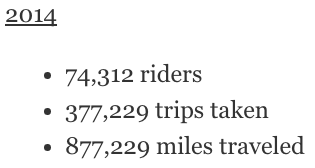 In 2014, 42 percent of B-cycle members replaced car trips with rides. Twenty-nine percent of B-cyclers incorporated the service with public transportation, including Nickonov, who rides RTD to the nearest B-cycle station almost every morning. It’s safe to say that the bike-sharing service is a touchstone of Denver’s transportation trends, but it also highlights the city’s needs. Nickonov, for example, lives at 43rd and Wyandot and takes the bus more than a mile to the nearest B-cycle station. He’s not alone. Denver’s bike-share network isn’t nearly as dense as San Francisco‘s or the DC area’s, both of which have comparable populations to Denver (and less sprawl to deal with). Nickonov remembers a time when no clear bike route existed to connect downtown to the Highlands. Before the current bike lanes went in, he received traffic tickets for riding in what was then a bus-only zone on 16th Street. Recent and impending improvements notwithstanding, he sees the need for bike lanes that traverse downtown instead of poke at it here and there. “It makes sense for 17th and 15th, on either side of the Mall, to have bike lanes [that bisect downtown]. 15th pretty much does. Why not 17th?” Various plans show eventual upgrades to 17th, but until it’s built, this and other plans remain lanes on paper only, leaving cyclists to piecemeal routes together. Nickonov has seen decades of changes in Denver, a long view that gives him patience. At the same time, he sees how relatively simple changes can have outsized effects on the lives of Denver’s thousands of cyclists. 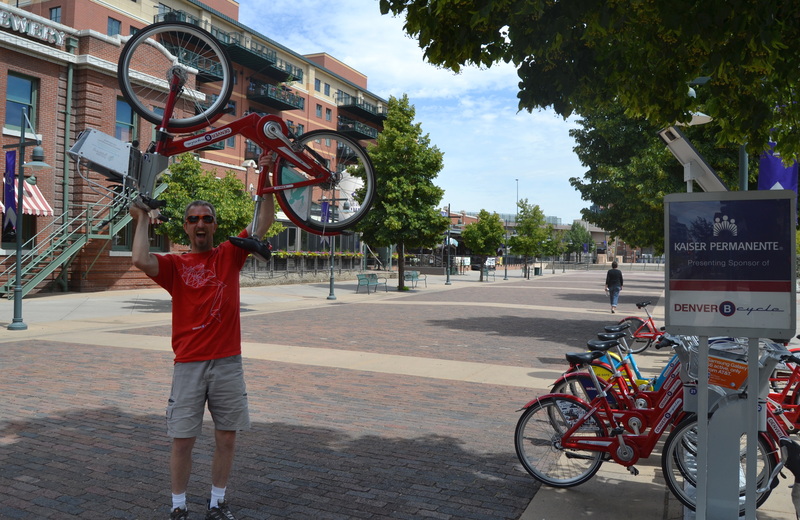 Despite significant obstacles, he has logged more than 10,000 miles on B-cycle since he signed up on April 5, 2010. Although the system is not perfect, he says that the benefits of having immediate, worry-free access to maintenance-free bikes all over the city are huge. It is very important for our city to focus on safe, affordable, and accessible alternative methods of transportation. It also a huge benefit that this particular type of transportation is environmental friendly! While the bike share program is still growing and has room for expansion it’s very good to see that it is headed in a positive direction. Cheers!